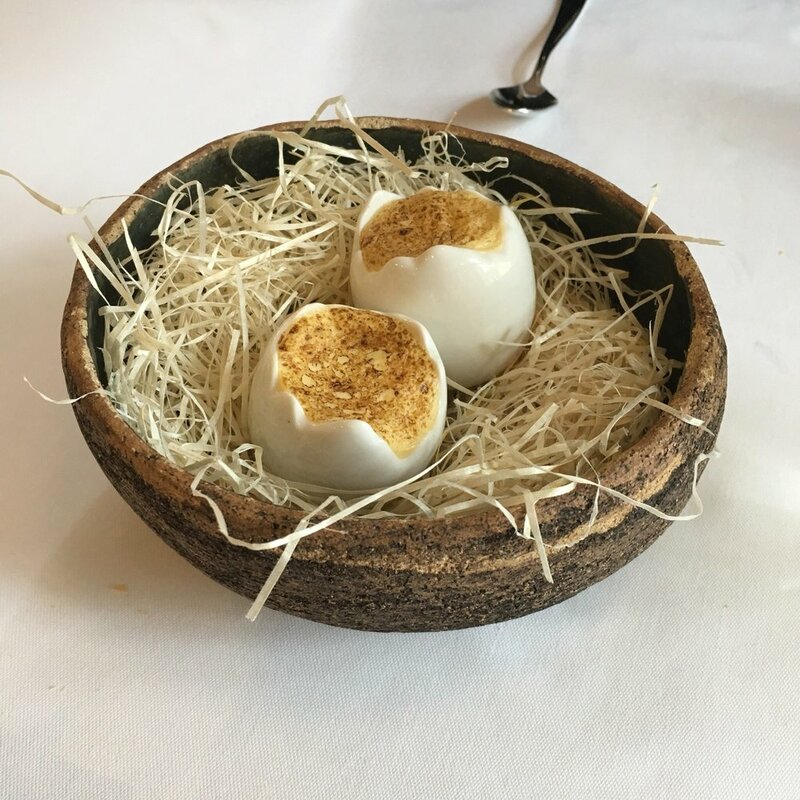 Join us for an unforgettable journey through the stunning countryside of Basque Spain with one of the world’s top ten food guides Gabriella Ranelli de Aguirre. We will visit Bilboa, La Rioja and finally San Sebastian. Get your tastebuds ready! Learn more here. This is the place that the world's top chefs make pilgrimage to eat and be inspired, this is their mecca. During this epicurean journey you will taste all the highlights this region has to offer. Venture into the verdant countryside to meet local culinary experts and taste their specialty products, indulge in a Michelin starred tasting meal, enjoy endless pintxos, dine at a private (and hard to access) gastronomic society with locals, participate in a hands-on gourmet cooking workshop, and enjoy some of the greatest red wine on earth. With beautiful rolling landscapes, medieval hamlets, rows of shimmering olive trees and superb wines, La Rioja is Spain’s most well-known wine region, and with good reason. There are dozens upon dozens of wineries, ranging from small family-run operations to grand sweeping estates. The crown-jewel of grapes of Rioja is the noble Tempranillo, used to create exquisite reds and blended with other regional grapes like Mazuelo, Garnacha Tinta, and Graciano. The Viura -also known as Macabeo- is the main white grape, often blended with Garnacha Blanca to create rich dry white wines. With a rich tapestry of gold, crimson, and indigo—Autumn is one of the most spellbinding times to visit this region. Frequently topping lists of the world’s best food, San Sebastian has remained famous for its savory restaurants and pintxo (pronounced pincho). Overlooking the Bay of Biscay, this beautiful town is framed with beaches and boasts a picturesque waterfront promenade. With an equal mix of laid-back air and elegance, San Sebastian, is known for the legendary Michelin starred restaurants as there is no place on earth that has a higher concentration “stars” per square mile than here. This city has an undeniable charm, from its revered dining scene to its grand architecture and packed cultural calendar. This is truly a destination not to be missed! *Rooms are shared with one other person. Group Size: Minimum 8 guests and maximum 10 guests. 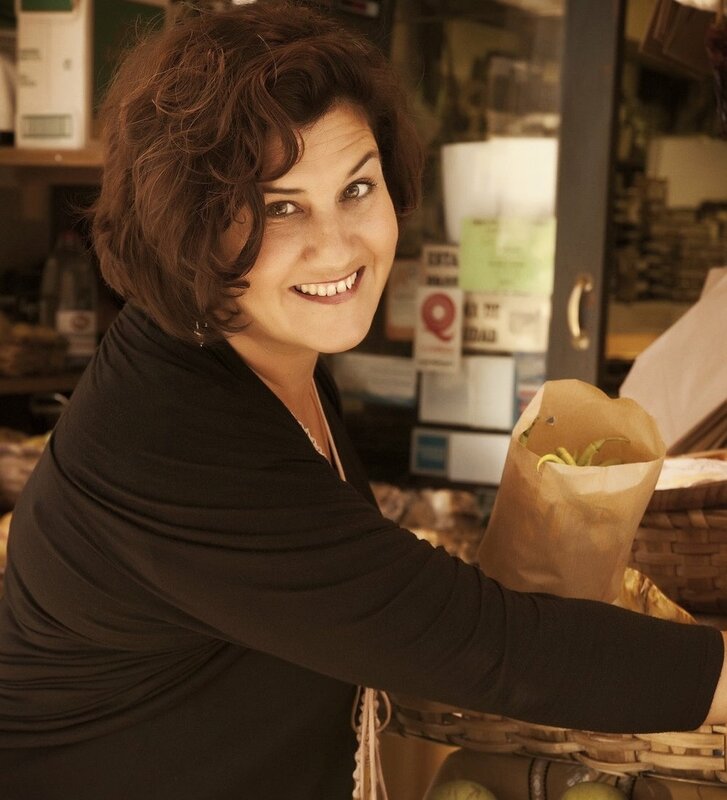 ~ Gabriella has been named as one of the Top 10 culinary guides in the world. Gabriella Ranelli de Aguirre is a renowned expert in the Spanish and Basque food & wine scene. She is the founder and owner of Tenedor Tours and holds a Master’s in Viticulture and Oenology from the University of La Rioja. Gabriella has spent more than two decades working closely with chefs, winemakers, and other producers to convey the wonders of Spanish foods and wines with the English-speaking world. She is a former instructor at the Basque Culinary Center and has been a culinary educator for the Culinary Institute of America. In 2012 she was awarded the Mahasti Jaun prize for her contribution to the D.O. Txakoli de Getaria wine region and in, 2013 The Glutton Club award for most relevant company on the gastronomic scene. Enjoy 4-star accommodations throughout Basque Country with Ace Camps. We have hand picked contemporary, historical and elegant hotels that suit the spirit of each location we will visit. We will spend our first night in Bilbao, a modern city filled with staggering architecture and a venerable dining scene. Our contemporary hotel is located walking distance from the fascinating Guggenheim Museum, park and beautiful river walk. Leaving Bilbao we travel into the countryside to the historical village of Haro, La Rioja~ the very heart and capital of the wine region. We have selected a truly unique property for our 2 night stay here - a monastery turned luxury hotel which combines historical elements with all the modern amenities in the heart of the village. Our final hotel is located in San Sebastian, the sparkling gem of the Cantabrian coast. 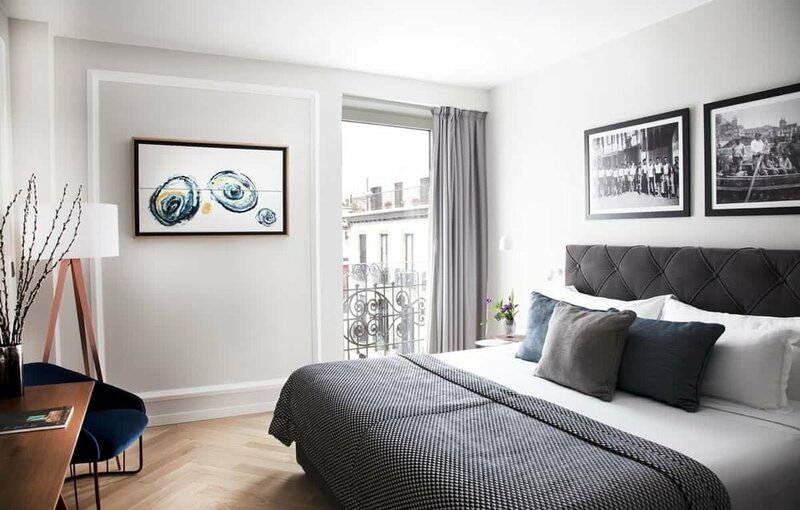 The only luxury 4-star boutique hotel located in the Old Town, featuring meticulously restored period façade, contemporary 21st-century style, elegant amenities, a roof top pool and sundeck with a stunning 360-degree view of the city and water. Please note: Room layouts may differ from traditional North American standards - the two individual twin beds may be situated very close together. This gourmet culinary journey in unlike anything else you will experience, a truly unforgettable epicurean sojourn. Join us as we explore why Basque Country is one of the most celebrated culinary regions in the world. This is a land of many contrasts, deep-rooted in tradition and now famous for Avant-Garde cuisine. Please note ~ this Ace Camp is best suited for omnivores, carnivores, pescatarians, and ovo-lacto-vegetarians. Unfortunately we cannot handle any dairy, gluten, or shellfish intolerances. ACE CAMPS will email you when it is time to make your travel arrangements. This email will always be sent 60 days or more before your trip departs unless you book within 60 days of the camp. If this Ace Camp fills prior to 60 days we will let you know right away so you can plan. October is the true start of the autumnal weather in Basque Country. Skies are generally clear with infrequent showers about - most precipitation is short lived and the sun is usually quick to come out soon after. The air is fresh with average daytime highs are 65F and evening lows of 52F. Layering pieces are an excellent idea this time of year. The ACE CAMP TOUR LEADER is a part of your group and are there to look out for your safety, to help resolve issues, and to make sure you get what you want from your vacation. The Tour Leader is there to help you with anything you may need and during this Ace Camp works with the guide. Pickup at Bilbao airport. Transfer from airport to Bilbao hotel. Easygoing afternoon to rest or stroll. If you have time you might like to visit La Ribera, the largest indoor food market in Europe, showcasing local produce, tapas and an astonishing selection of meats. Welcome cocktail at the hotel before a casual dinner in town to meet your guide and group. Guided visit to the Guggenheim Museum in the morning, before heading south to La Rioja, with a stop for lunch en route. We’ll visit a neighbourhood that’s “ground zero” for Riojan wines for some tastings and an intro into Spain’s most famous wine region. Vineyards surrounded by World Heritage monasteries and marvelous old churches, this region produces some of the greatest red wines in the world, and also some of the greatest values for older wines. They’re primarily Tempranillo -based reds, but there are also some ravishing whites and crisp, refreshing rosés. Dinner this evening at a casual Spanish village restaurant in Haro. Today will be filled with tasting and sipping at some of La Rioja’s most iconic wineries as well as some of our favorite boutique wineries. We will include at least two full winery visits and tastings, plus more tastings at wine bars or other cultural visits. Lunch will be at a traditional “old school” Riojan grill restaurant. We’ll get back into town in time for strolling, having a glass of wine on a terrace or shopping. Reconvene in the evening for a dinner of tapas and various wines. Head out in the morning and drive north to San Sebastian. Leave bags at the hotel and take a walk around the bay and to the farmers’ market. Jump right into the swing of things with some gourmet market shopping for tomorrow’s cooking class. We will also look out for specialty Basque Kitchen utensils and learn how they are used in culinary preparation. Lunch will be a few rounds of “pintxos” and wine in the Old Town. Pintxos, are delicious, bite-sized snacks, made from a combination of fresh, seasonal ingredients such as cheeses, cured meats and smoked fish. A visit that mixes culture, history and food we stroll through the most emblematic streets of the city while tasting some of the best pintxos and beverages selected by your guide. Dinner this evening is a special, market-based menu at a beloved Old Town restaurant. Sunday is when all of Spain takes a deep breath and relaxes. We’ll meet up for a leisurely late-morning vermouth and olives before heading to Gabriella’s private Old Town studio for a hands-on cooking class lunch. We’ll utilize the fresh ingredients we’ve purchased the day before, and we’ll prepare traditional pintxos and local dishes. This class will teach you everything you want to know about Basque cooking techniques and ingredients. During the afternoon, the group will be free to visit museums, walk on the beach, have a bit of time on their own. We’ll reconvene in the evening and drive to have dinner on the terrace of a beautifully-renovated farmhouse on the outskirts of the city that features one of the world’s best wine cellars. Today is a free day for shopping, going to the seaside spa, heading to the hills for a hike, exploring the city, relaxing. In the evening we’ll prepare dinner together in famed members-only gastronomic society club, which lie at the heart of Basque culture and life. Sit amongst locals, learn about the tradition, and join them in camaraderie. A very special behind the scenes experience into the heart of the Basque way of life. We’ll head for the hills today to “meet the makers” of the Basque Country: cheese makers, cider makers, vegetable farmers, charcuterie makers… Lunch will be a homemade meal at a gorgeous 16th century farmhouse. The interior of the Basque Country is still very rural. The stunning green mountains and isolated stone villages set into hidden valleys are out of reach of most travelers to the Basque Country. Dinner this evening will be a special tasting menu at a charming, 1* Michelin restaurant in San Sebastian’s Old Town. This morning we pack our bags and say farewell with a private morning transfer to the Bilbao airport.